As I sat there last Sunday evening Feb. 3, 2013, watching Super Bowl XLVII along with family members and some 108 million other viewers, I could not help but think about the events that transpired in the Superdome seven years ago. It probably had a lot to do with a series of interviews for The Contraflow Project that I had just concluded with Rev. 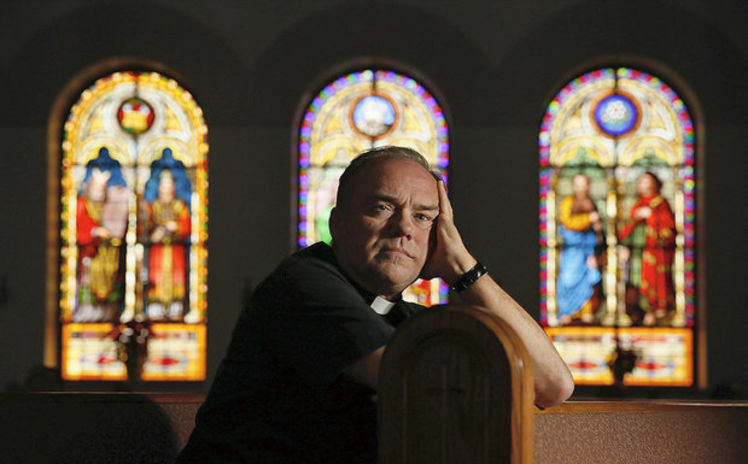 Walter Austin, who was a state chaplain for the Louisiana State Chaplain back during those surreal days of Katrina. Then came the Pepsi Halftime Show’s Beyonce, and I quickly forgot all about my 7 1/2 independent research journey into what really happened in New Orleans. It was HalfShowTime! Then went the lights! Man, I had spent all of the first half trying not to think about Katrina, and then this. Because Rev. Austin was my most recent Katrina Oral History Contributor, and 90% of his experiences took place at the Super-dome, he was heavy on my mind. I first learned about him after reading Jeff Duncan reporting in the Times-Picayune’s “Refuge of Last Resort” series, which was republished in ’10 in commemoration of the five year anniversary of Hurricane Katrina. To be honest, I reached out to Rev. Austin two months ago to help me verify one thing. When I caught up with him in his office at Ascension of Our Lord Catholic Church in LaPlace, Louisiana, I explained the mission and vision of my nonprofit research organization The Contraflow Project. His first words to me were, I believe, “What do you want to know?” It was like he was waiting for my call for seven years. I realize today how huge Katrina was. Meaning that it touched so many lives and each one of those lives has/had a story. I do believe though that my steps have been preplanned by a higher power, and that I have crossed paths with those responders and survivors that I needed to to tell a Katrina story to end all Katrina stories. Last July, I wrote a Katrina essay titled “The Events of 9/1“. In the second to last sentence I boldly write, “Yeah, guess I have done ENOUGH!” As in, my research was over. But, in the last sentence I added three words, “…or am I?” No. I hadn’t spoken with Rev. Walter Austin yet. 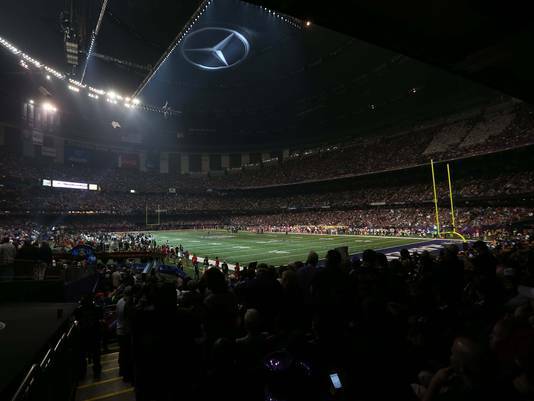 Back to the Mercedes Benz Superdome, the “second halftime” is in effect. What I was watching on a massive, secured, coordinated scale, was people in the know sharing information with those who needed to know. It reminded me of something Rev. Austin shared just a few weeks ago. Because of a sequence of events on September 1, 2005, the National Guard had pretty much stopped communicating with the Katrina survivors-evacuee-refugees at the Superdome. Pretty much all, except Rev. Austin, who held the rank of a Lieutenant Colonel I believe. It may have been Colonel. I need to check my notes. So, he made his way through the crowds gathering folks around him and passed on the latest news without a megaphone. He got up close and personal. We are talking about a time where 99% of the folks just wanted some good information. Yes, Rev. Austin was heavy on my mind as I watched the “second halftime”, but there are so many many many positive stories from Katrina that have never been told in their proper context, or at all. As I told Rev. Austin, this is my mission, my vision. Up, the lights came back on! We all joked that Beyonce “boodylicious” performance did it. But, it’s New Orleans. A city where anything can, will and has happened. Some of the senior members of my family, moma and dem, were bored now, so we left my sister and brother-in-law’s home. I couldn’t figure out where the CBS Sports Radio Network affiliate was on the radio dial. I did get a text talking about a Comeback! I’m very thankful to have been allowed access into your Katrina experience memory bank, and I cannot wait for the public to learn (in more detail) your heavenly contributions the Katrina Response. I’ll keep you updated on the progress. Thank you! As for Sunday night, I am sick over the bad publicity the city got for that snafu. It was magnificent the whole week having people come down and see how much we have overcome since K. Now when they think of this SB it is when the lights went out. 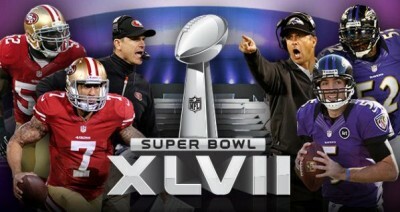 As for the Super Bowl, it was one of the most exciting games I’ve ever seen. Because the lights came back on, most of the people I’ve spoken with are looking at it as a “second” half time. And for all my friends from California, their “prayers” were almost answered. I can only think of one Super Bowl game that had a more climatic finish, and it was the St. Louis Rams vs. Tennessee Titans in the Georgia Dome where the game ended with a Titan player being stopped on the 1-yard line. Coincidentally this was also the game where Ray Lewis was arrested after an after party double murder in Atlanta. People in NO love the city. It has its own way of life and its own rhythm. Now we get ready for the Mardi Gras weekend. Mardi Gras, yes. Laissez Les Bon Temps Roulez! (Let the Good Times Roll). Amen Rev. Austin. Amen! Pres. 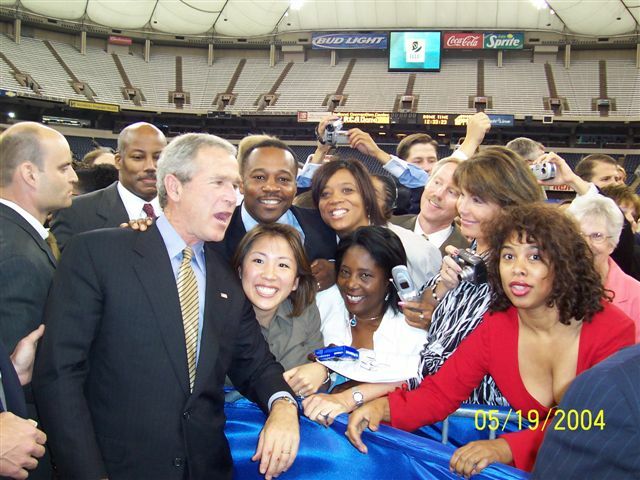 Bush was riding high after winning a second term. On 11.04.04, he stated “I earned political capital in the campaign, political capital, and I intend to spend it.” Myself, I was living in Southern Nevada working on a new series of educational publications. 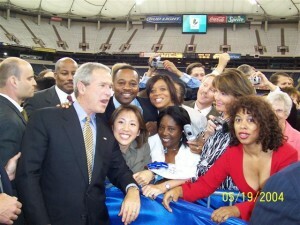 As Labor Day Weekend 2005 approached, I looked forward to celebrating my birthday and Pres. Bush geared up for his stay the course campaign in Iraq. On 8.30.05, the news started looping hurricane looting footage from N.O. in heavy rotation, which brought about a sense of apathy.